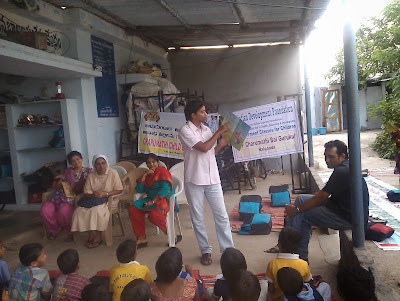 Sanjay Ram sent us the following note and pictures from the storytelling session held at Charumathi Child Care Centre, Nalgonda. The storytelling session was coordinated by Indian Development Foundation. 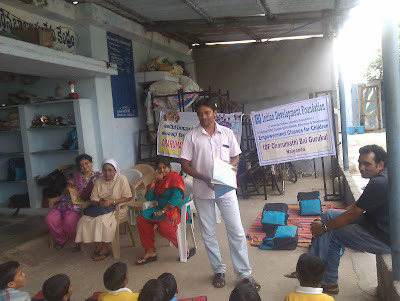 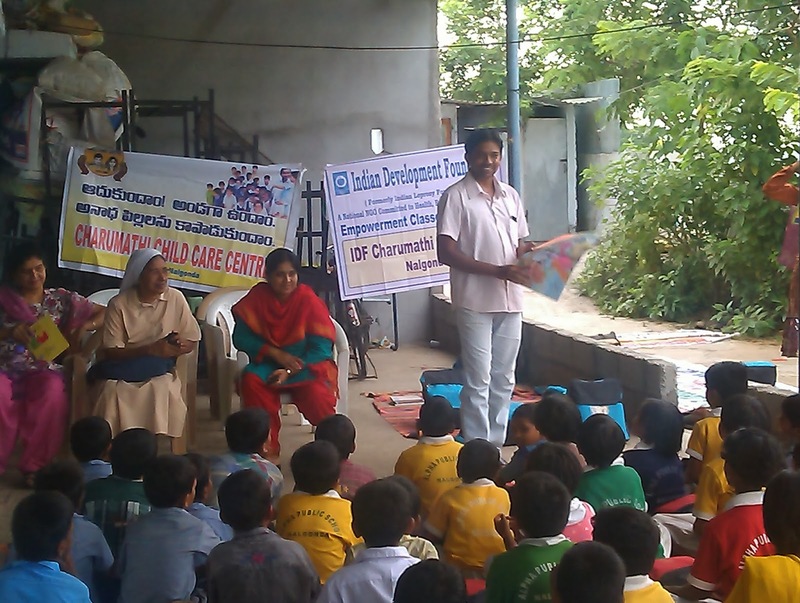 Indian Development Foundation is a national NGO working for health, education and development. 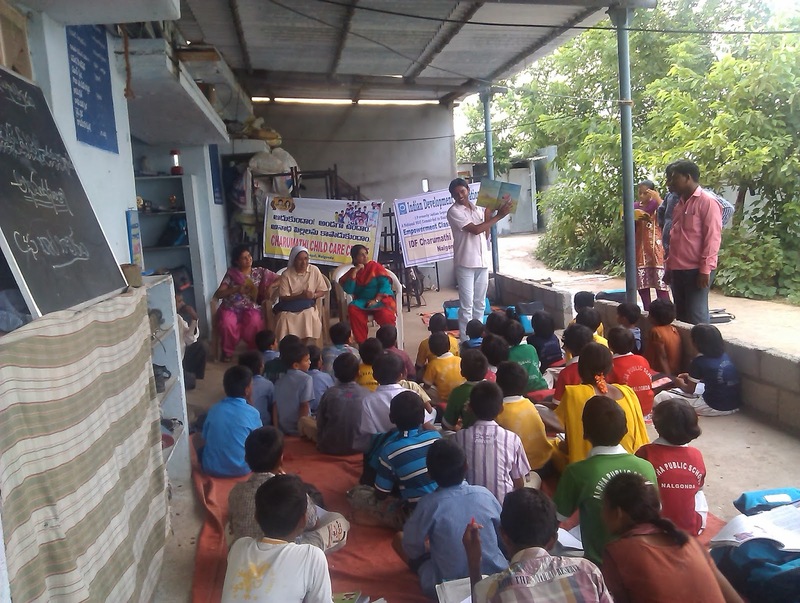 Th campaign was done in IDF CCCC Bal gurukul , Nalgonda on 12th Sept. 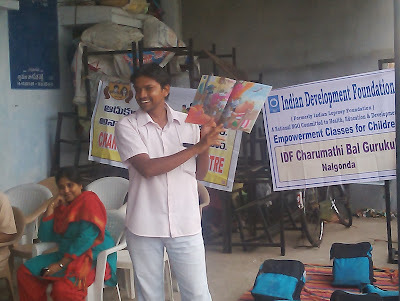 In this facility most of the children are orphans or semi orphans and all are HIV Positive. Children enjoyed the sessions and wanted to hear more stories.